I’ve always been a multiple-browser kind of person. I used to prefer the aesthetic of Google Chrome and its angled tabs and great looking favicons in the browser. I used Firefox for website debugging and testing, but most of the time it supported nearly every standard out there. But I was never able to really stick with Safari. Safari has always been capable, but I just didn’t prefer the design. Until Safari Technology Preview. Safari Technology Preview is a long name for the beta version of Safari that I’ve been using exclusively on my new MacBook Pro ever since I got it in late July. I’ve always been at the least a two-browser guy, usually switching between Google Chrome and Safari, and 75% of my time would be in Chrome. Not anymore. Safari (specifically Safari Technology Preview) has been outstanding for me. The most annoying thing for me has been resolved as well - favicons in tabs. That’s now a setting that you can toggle on and off and it also looks great on pinned tabs as well. I know it seems like a small thing to most people, but I even had John Gruber on Twitter respond to me talking about them - this was a very important visual thing in the browser to a lot of people. Safari is fast. Granted, you can only get it on a Mac, but Safari consistently beats out Chrome, Opera, and Firefox in HTML load speed tests. There are also great privacy features as well - one thing as a Chrome user that you always need to assume is that Google is tracking, logging and even predicting your every keystroke online. Now I don’t visit any sites that I shouldn’t, so I’m not afraid of anyone tracking me - I just don’t want it. I know that Google is tracking me in other ways, but the problem is not that Google is tracking me to make my experience better, but that they’re tracking me to sell my data to the highest bidder. And when you give Google an inch, they’ll take a mile. If it’s been a while since you took a look at Safari, I’d invite you to go back and try it. It’s already on your Mac, and if you want bleeding-edge versions of it, you can download Safari Technology Preview, now available through software update on macOS Mojave. 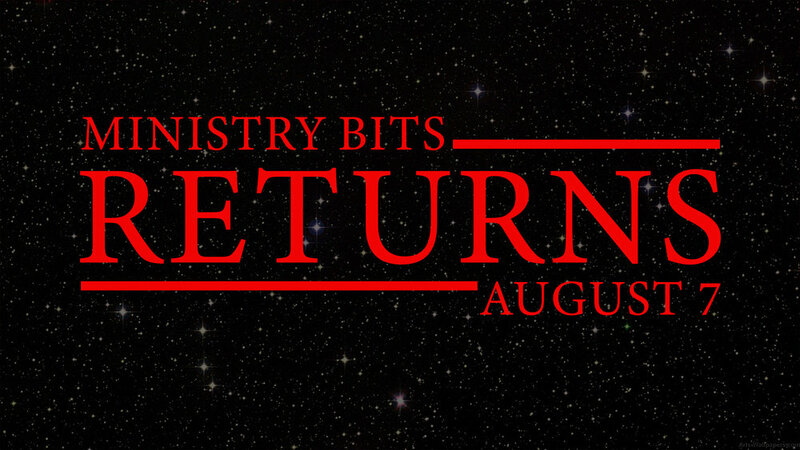 That's right, Ministry Bits will be back August 7. We still have the same old feed so you can just search iTunes or your favorite podcatcher and listen or re-listen to some old episodes, some of which have aged incredibly well. I heard from so many people about how the podcast helped them with technology, so I'm bringing it back. The reason why it left in the first place? Well, in a sense, time. I just didn't have the time to dedicate to it like I wanted. But I miss it, and I want to help as many people as I can make their ministries better with technology. Looking for a cheap Android tablet with great build quality? Take a look at my quick review of the Huawei MediaPad T3-7. Just what in the round world is a Finstagram? A quick review of Apple's Keynote in September 2017.